Guest Post: Kylo Snape? 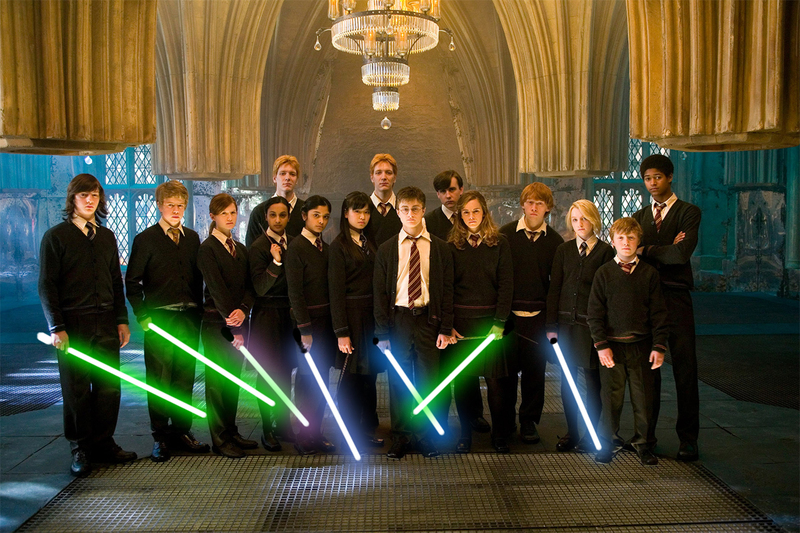 Is ‘The Force Awakens’ the Eighth Harry Potter Story? I know it’s hard to believe. It’s even harder to admit, but until this fall I’d never seen Star Wars. Any of them. I was too young to watch the original films in the 1970s and 80s, and while I know I went to see the one with Jar Jar Binks when I was in college (because who can forget Jar Jar? ), it certainly wasn’t my idea, and my brief encounter with the franchise was just that: brief. You see, I am a Harry Potter person. Although I’m too old to have grown up with Harry, still he has been, for me, the portal of my interest in imaginative fiction of all kinds, including Tolkien, Lewis, Chesterton, etc. And happily, many of the authors and books to which my interest in Potter has led me, I have come to realize, inform Rowling’s own books. 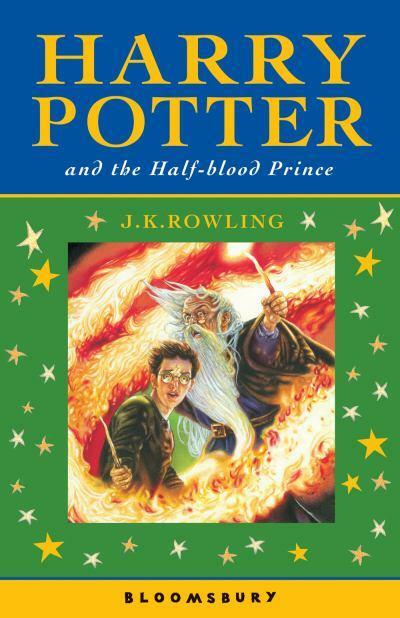 Harry Potter has been, for me, a literary boomerang. 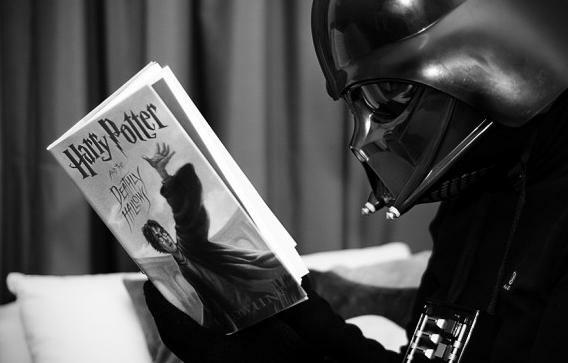 Content in my love of Potter and related works, and blinded by my ignorance of the ‘verse, I had not even heard that a new set of Star Wars movies would roll out beginning this year. Still something (grace? the Force?) pushed me to investigate George Lucas’ epic, just in time for a seamless transition to The Force Awakens. I borrowed all the released films from my niece and began my journey. With my Potter-colored lenses, I immediately noticed resonances with the Potter series: the influence of the hero’s journey, the “rhyming” or ring composition of the plot, minor elements like “life debts” and mis-directive titles (eg. Attack of the Clones and Prisoner of Azkaban), and major themes such as the redemption of ambivalent characters. 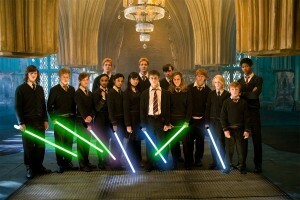 These observations made me wonder: how much had Star Wars influenced Harry Potter? I filed the question away for future investigation and readied myself to enjoy The Force Awakens, having become, in just a few short months, almost as big a Star Wars fan as I am of Harry Potter. 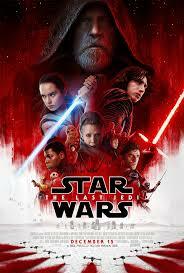 So, despite being a very recent convert to all things Star Wars, on December 17, this self-proclaimed Harry Potter person sat in her local cinema, trembling with as much excitement as anyone who has worshipped the franchise since 1977. Yet I’d like to think I came to The Force Awakens with a considerably different (lighter?) set of baggage. I came without treasured vintage collectibles or directorial partiality. I came without preferences for animation style or positions on the film’s genre (fantasy or sci-fi? or who cares?). I came only with my Great Lakes Christmas Ale, and a newly-awakened love of the Star Wars saga acquired, in no small part, from loving Harry Potter first. Like Potter, I came to love Star Wars because it is a story set in a believable and comprehensive universe, with genuinely interesting and compelling characters whose adventures propel the viewer’s interest both forward and backward in time. Like my more fundamental love for the Potter story, my love for Star Wars also has to do with what lies at the heart of the story: the Force, that mysterious power that takes the characters beyond the mundane, beyond themselves, beyond hatred and even death, and appears both systematic and magical in its origin and application. So as I sat waiting for the opening scroll of The Force Awakens, I knew that as long as these elements remained central to the newest film as they are to the franchise as a whole (and how could they not? ), I was going to love it. 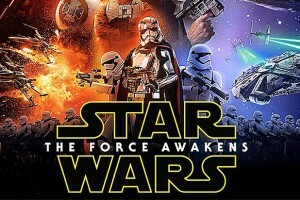 The Force Awakens did not disappoint. 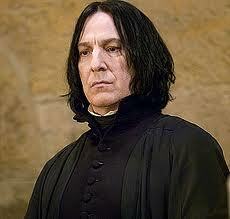 However, I did not expect to find Severus Snape in the film. And yet, there he was, just as bold as brass. And Severus Snape’s film equivalent to a photo-bomb on my Potter-shaped imagination pointed me to a question even more compelling than my first: how much does Harry Potter influence Star Wars? Let’s talk about Kylo Ren. He’s young, he’s stoic, he’s emo. He runs around in a cassock and mask. He’s got daddy issues. He flies a ship that looks like an overgrown bat. If these aesthetic echoes of Severus Snape (plus the casting of Ren with an actor who is far more believably Alan Rickman’s son than Harrison Ford’s) aren’t enough to convince you of the power of Potter to influence even Lucas’ ancient and venerable franchise, let’s take a deeper look. Like Severus Snape, who was born to a witch mother and a Muggle father, Ben Solo (Ren’s given name) is of mixed origin. 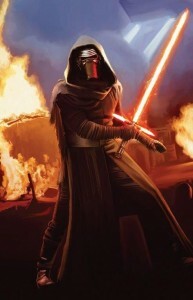 Ben/Ren is the child of one Force-sensitive (Leia Organa) and one Force-skeptic (Han Solo). As Snape inherited his mother’s magical abilities, Ren inherited his mother’s sensitivity to the Force. Both young men entered into formal training to harness this inherited power for the good (Ren with Skywalker, Snape at Hogwarts), but both men, in the course of their training, became seduced by a fixation on the shadows of their own heritages (recall Snape’s self-aggrandizing moniker “The Half-Blood Prince”), and joined an order of mask-wearing evil doers (the Knights of Ren, the Death Eaters). Both men take new titles for themselves, presumably, in part, out of a distaste for associating with their mundane fathers (though Snape does not use his new moniker professionally as Ren does). Though both men are besotted with the dark side in their youth, neither can make a permanent commitment to this way of life, especially in light of former attachments (for Snape, Lily Evans Potter; for Ren, familiar and familial figures such as Poe Dameron, Han Solo and Rey seem to test his resolve). Snape is an accomplished Legilimens, and – not surprisingly by this point – Kylo Ren has the same talent for invading others’ minds. Importantly (and most spoilerifically), both men murder their fathers (in Snape’s case, father figure): for each, that figure who represents a last chance at redemption. Finally, both of these father/redemption figures are hurtled from a great height after each murderous confrontation. 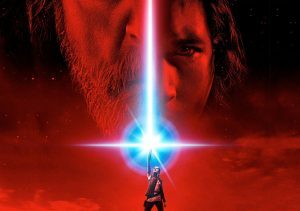 It seems to this Star-Wars-via-Harry-Potter fan that the connections between Kylo Ren and Severus Snape are more than aesthetic. Although Snape’s redemptive trajectory is clear now that the Potter series is complete, Ren’s is still shrouded in mystery. Given the similarities I outlined above, it seems safe to suppose the redemption of Kylo Ren will be essential to the coming Star Wars installments, even if, like Snape’s redemption in the Harry Potter books, it is not the story’s main focus. But anyone interested in the cross- pollination between the Harry Potter and Star Wars franchises will keep a close eye on Kylo Ren. Wayne Stauffer teaches writing and literature at Houston Community College in Houston, Texas. 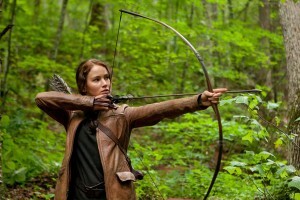 He has taught a Literature and Film class on the Harry Potter books and films and is preparing one on the Hunger Games. The release of Mockingjay Pt. 1, the third installment of The Hunger Games movies, will give us our next cinematic visualization of Katniss Everdeen and the world of Panem. Since she is such a strong character and the protagonist of the books and films, our first thoughts turn to her as the heroine of the series. But Collins has written her as different kind of action/adventure story Hero than we have seen previously. 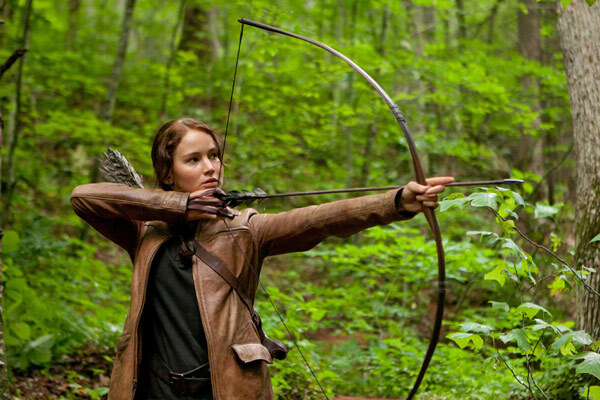 Although she has many of the qualities of a Hero that initially come to mind, there is still something about Katniss that the usual hero analysis does not address. This is exciting news. A. T. Reeves has edited C. S. Lewis’ translations of Virgil’s Aeneid, which consist of long passages from Books 1, 2, and 6. I assume these are the best known sections, most notably, the fall of Troy, the flight to Carthage, death of Dido, and the trip to the Underworld. As eager as I am to read this work, about which I had never heard or read mention that I can recall, the book has already delivered edifying fruit. Prof. David Downing, C. S. Lewis scholar and accomplished novelist himself, has written a review of the Yale University Press title, a survey explaining CSL’s fascination with this poem and many of the correspondences existing between Lewis’ understanding of the Aeneid and my favorite adventure in the Narniad, The Silver Chair. 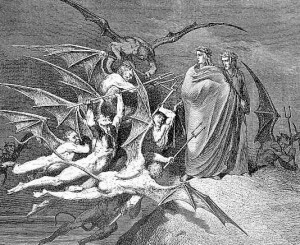 Read that review here: ‘Journeys to the Underworld and the Silver Chair.’ H/T to Rev. David!